Thing That Goes Without Saying of the Week: Sparkly things are wonderful. So imagine my delight at discovering Luna Lighting. Their shop consists entirely of things that make sparkles: in fact, their very front page says their products 'create an atmosphere of warmth and sparkle, casting magical spots of light all around, like fireflies.' SOLD. 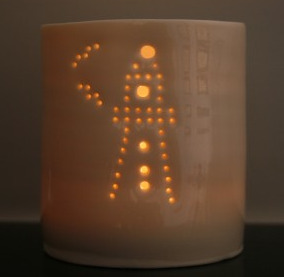 Their gorgeous tea-light holders come in such a huge range of designs it's impossible to show you all the best ones, so I suggest you head over there and have a look for yourself, but here are just a few that have stolen my heart. All of these are fifteen pounds and GUESS WHAT: the deadline for Christmas delivery isn't until the 10th December, so you've got plenty of time to pick your favourite. 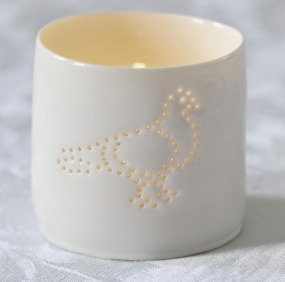 Owls do appear everywhere these days (in fact, Luna do an owl one anyway, and he's pretty) but why not mix things up a bit and have a pigeon tealight holder? He's so fat and adorable. 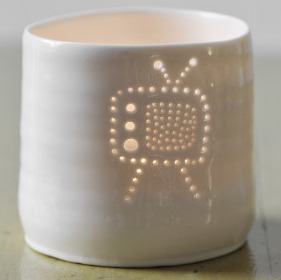 Retro TV candle holder! I could not be happier about this design, from it's gorgeous shape to the different-sized buttons. Those of you that saw me go a bit mental for lighthouses after my trip to the seaside this year will understand my massive enthusiasm for this lighthouse candle holder. I am just in love. 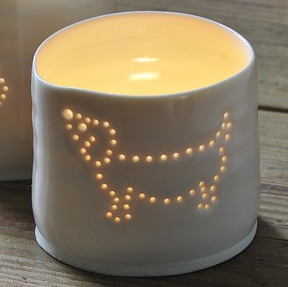 Last week we brought you sausage dog Christmas tree decs, and this tealight holder makes me equally happy. 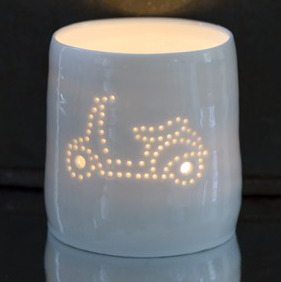 Lastly, while I wouldn't immediately twin transport with candles, I am definitely convinced by this scooter tealight holder. They also do a fetching bus one too. Of course, they have lovely Christmassy designs as well (snowflakes, anyone?) and tons more besides. Which one would you choose?